Favorite Quote: Never argue with an idiot. They will only bring you down to their level and beat you with experience. Eric Schmitzer is the Web Developer at Active Blogs, working daily to tackle technical support issues and maintain the Active Blogs website. His duties include updating and improving eFlier and eNewsletter designs, conducting in-depth testing, and sending email communications. 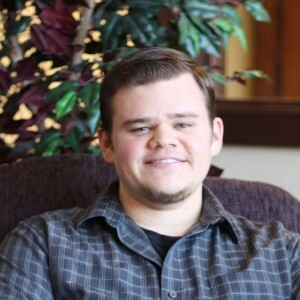 With an associate degree in web development from Front Range Community College, Eric spent some time working as a freelance web designer for various companies across Colorado before he settled into his role at Active Blogs. He has also launched numerous websites, both professional and personal, which he continues to maintain outside of his position. Eric spends his free time hanging out with friends, working out, and strives to learn something new every day. He loves the outdoors, exploring and experiencing the natural wonders of Colorado. His ever-growing list of hobbies includes skydiving, designing t-shirts, home brewing, and DIY projects. Eric also loves to travel and has been to multiple countries including Germany, Austria and The Czech Republic.